Home / House / How to Get Rid of Bed Bug Bites? Sallie House Comments Off on How to Get Rid of Bed Bug Bites? In this article, we will discus ways to get rid of bed bug bites. The bed bugs bites are generally painless, but may cause itchiness, swelling, and redness. Most of the times we donвЂ™t even come to know of these bed bug bites and come to notice them when they have bitten us all over. Bed bugs survive on animals and humans, and after feeding, their body color changes to red. Since these bed bugs are really small most of the times we tend to notice their presence only when we have been bitten by them. While some people may not even realize they were bitten, others may develop symptoms like red itchy bumps and rashes. These bed bugs hide in dark places, nest close to where humans sleep and crawl out just before sunrise for their daily intake of blood. However, it is important to note that running off to a doctor is not the only way to get rid of bed bug bites. Some home remedies are best not only to get rid of bed bug bites, but also to speed up the healing process and soothe the skin. These remedies will help your skin withstand the bed bug attack. Bed bugs pierce the skin and withdraw the blood from the host body for about 3-12 minutes approximately. Their bites resemble other insect bites and usually appear in rows or clusters of three to five bites. Here excessive itching and scratching may cause a skin infection, though bed bugs do not really transmit diseases. Some people may develop an allergic reaction with painful swelling and burning at the bite site, engorged bite marks and, in very rare cases, an anaphylactic response. These bites are more common in exposed areas like the face, neck, arms and hands. Baking soda works really well in getting rid of the itchiness and the redness of the infection and is one of the best home remedies for getting rid of bed bug bites. It helps to soothe the skin and is really easy to use as well. To benefit from baking soda, just make some paste using 3 tsp of baking soda and 1 teaspoon of water and apply this directly to the skin. Leave it for some time before washing off with lukewarm water. Alternately, you can also add half a cup of baking soda in a tub of a warm water bath and soak yourself in it for at least 20 minutes. This works wonderfully in helping you get rid of bed bug bites in about a week or so. Try it the next time and see the wonders yourself. Witch hazel not only helps in cleansing the infection but also helps a lot in healing and repairing the skin cells. 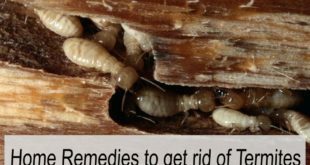 It has long been used since ages as a wonderful remedy to get rid of bed bug bites faster and works well to heal them off within a few applications. Make sure you use organic witch hazel here are there are many kinds of varieties available in the market. Just apply this directly to the bites and leave it there for some time. You can do this twice or thrice a day to get rid of bed bug bites completely. 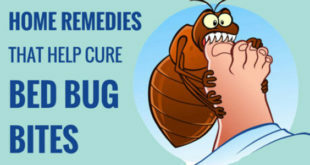 Even doctors recommend it as a really good remedy which helps to get rid of the bed bug bites at the earliest. The antiseptic, anti-itching, antifungal and antibacterial properties of apple cider vinegar help to stop itching effectively, which is a result of bed bug bites. To treat more bed bug bites, apply apple cider vinegar on the affected areas using a cotton ball and leave it on for half an hour and then rinse it off with lukewarm water. You should do this for a few days at least once or twice daily for maximum benefits. Alternately, add two to three cups of apple cider vinegar to lukewarm bath water and soak in this water for 15 to 30 minutes. Then dry yourself well and moisturize your skin with a good moisturizer. Do this once a day to get rid of bed bug bites and to relieve your skin from all the symptoms. This amazing plant, Aloe Vera is a potent natural treatment for many other types of skin diseases and helps to treat bed bug bites being soothing to the skin. Polysaccharides, which are abundant in the gel of the aloe Vera plant, are responsible for most of its therapeutic purposes. Aloe Vera gel has been used for many years as a skin salve. One of these is the ability of aloe Vera to treat skin problems and reduce inflammation. To benefit from aloe Vera, wash your body with some warm water and slice aloe Vera leaf and squeeze out the gel. Apply a thin layer of it over the bed bug bites. Let it dry before rinsing with cool water. You can repeat this treatment twice or thrice a day to get rid of bed bug bites effectively. 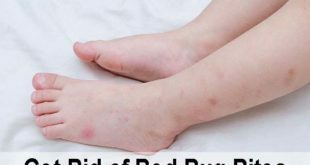 This is one of the safest and easiest remedies to get rid of bed bug bites and helps to repair the skin and heal it from any of the damages caused to it. Lemon is acidic in nature and its properties work like natural medicine on the skin. It has great antiseptic, anesthetic, anti-inflammatory and anti-irritating properties and works well for getting rid of bed bug bites in a short time. However, this remedy is not suitable for those who have sensitive skin. Extract the juice from one to two fresh lemons. To benefit from lemon, use a cotton ball and apply the juice on the affected skin. Wash off with lukewarm water after you have left it to dry for some time. Repeat twice daily until the condition improves and your itching stops. It is one of the best remedies to get rid of bed bug bites really fast and helps to repair the skin against any kind of damage as well. Ice pack is often used as a first aid procedure for injuries such as bumps on the head or bruises due to impact. ItвЂ™s definitely one of the easiest and most readily available home remedies for getting rid of bed bug bites. It also works to cool down the skin and tone down swelling and redness. Here just wrap a bunch of ice cubes in a towel and gently press towel over the bites. Let it be there for a few minutes. Do this several times a day until you find relief. You can also dip your towel in ice-cold water and repeat the steps above if ice cubes are not available. Never apply ice directly on your skin as that can do more harm than good being damaging to the skin tissues. A cold compress is a popular remedy for pain and inflammation and will help a lot to get rid of bed bug bites within a few applications. Toothpaste is one of the best products to get rid of bed bug bites really fast. It is easy to use as well, you simply have to get the toothpaste from your washroom and start using it. First, wash off the affected area well with some cold water and then pat it dry. Then use a mint toothpaste to apply over the bed bug bites. Mint cools the bites and provides relief to the tissues. 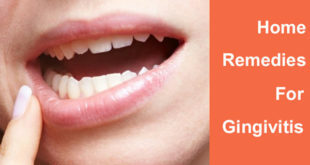 Using mint is one of the best remedies to treat a bite and the swelling caused because of it. 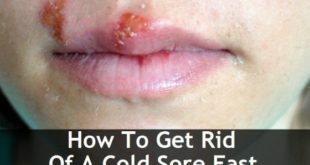 It is one of the most effective home remedies for getting rid of bites effectively that help to provide instant relief from the pain and inflammation as well. Here you simply have to take 1.2 cups of oatmeal and 1/4th cup of water. Turn oatmeal into powder by grinding it in a blender or food processor and then, mix it with water to form a paste. 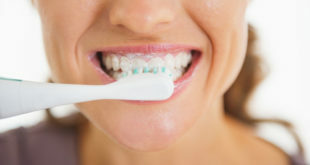 Apply the paste on the bites and leave it on but do not scrub or rub it as it may aggravate the redness. Let it sit for 15 minutes. Wash it off with cool water and use a soft and clean towel to pat it dry. Follow this treatment method twice a day for one week for getting rid of bed bug bites quickly and for healing the skin. Cucumber has natural cooling properties and is one of the best home remedies for getting rid of bed bug bites easily. It has long been used in a lot of natural remedies to heal the skin and to get rid of any kind of skin ailments and infections. To use cucumber here, you can simply make a paste of a little cucumber and apply it to the skin. Leave it over there and after some time you can take it off. You can easily do this thrice a day as cucumber doesnвЂ™t have any side effects. Use a cucumber to get rid of bed bug bites fast the next time you suffer from it; it works really well on the skin. Due to the presence of anti-inflammatory and photoprotective properties and thanks to its main component called epigallocatechin-3-gallate, green tea helps to get rid of bed bug bites really fast. Green tea can be a viable treatment for actinic telangiectasia, a prevalent skin condition that causes dilation of the blood vessels and redness of the skin. Apart from helping you lose weight, green tea can also help promote skin health. Here you simply have to take two cups of water and two bags of green tea. First boil water in a pot and steep green tea in hot water for 20 minutes. Remove tea bags then and put tea inside the refrigerator for 30 minutes. Now dip a clean cloth in the tea and lay the cloth on the body and over the bite and leave it on for 10 minutes. This will soothe the redness and reduce inflammation. 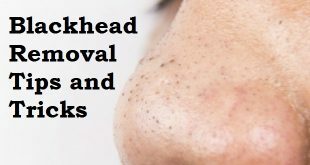 Do this at least twice a day to get rid of bed bug bites really quickly and to heal your skin. Onion has sulfur and quercetin that can help you to relieve the pain as well as heal the bites. It also reduces the chance of any scars being formed here. The best thing is onions are readily available in our house and therefore you can instantly use them to treat a burn. At first, you take an onion, then cut it into many small pieces before crushing them all to extract the juice here. Rub this juice directly over the bites and with gentle hands here. You have to make sure that you use freshly cut onions because onions can lose their medical properties after a few minutes. To reduce the pain here repeat this remedy several times a day. 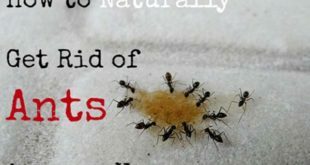 It is really one of the best home remedies for getting rid of bed bug bites and helps to treat it really well. Basil contains a high amount of eugenol, a potent essential oil, and topical anesthetic and helps to get rid of bed bug bites naturally. Plus, it has compounds called camphor and the thymol that effectively combats itching. To benefit from basil just crush a few basil leaves. No gently rub them over the affected area and let it sit on the skin for some time. Rinse it off with lukewarm water after letting it dry for some time. Do this as many times till you find relief on the skin and feel comfortable. Alternately add one tablespoon of dried basil leaves to two cups of boiling water and cover the pan for a few minutes. Allow the mixture to cool and then apply it on the affected area using a cotton cloth. 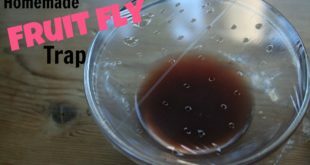 This is a wonderful method to get rid of bed bug bites faster and helps to repair the skin really well. This oil works really well as an anti-inflammatory agent and helps to provide the skin a lot of relief from any conditions which are damaging to the skin tissues. This oil has potent analgesic and anti-inflammatory properties. However, never use lavender oil undiluted on the skin, as it can cause irritation, and would only worsen facial redness. Here you will need 3 drops of lavender oil and 1 teaspoon of almond oil. Combine the two oils and dip a cotton ball into the oil mixture. Apply gently on the bites and repeat twice a day for two to three weeks to get rid of bed bug bites easily. This treatment works well for most people and is one of the most preferred remedies for this purpose. Avoid using second-hand furniture and mattresses as they have more probability of bed bugs. Vacuum clean the whole house so as to reduce the chances of the invasion of bed bugs in your home. Washing clothes or linens on high temperature will kill bedbugs. Apply cold milk on the area to get a soothing relief. Do not scratch the bitten area as it may worsen the situation. Put a light-colored and clean mattress and sheet on the bed. 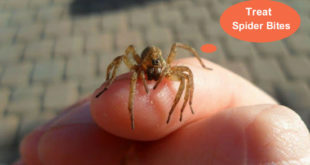 If the bites occur very frequently, ask a pest controller of your area to check the home. 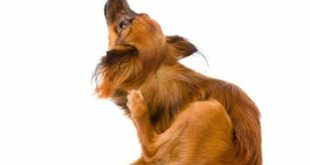 Resist the urge to scratch the bites as it may lead to a skin infection. Applying a mixture of equal parts of cold milk and water can also help relieve itching. Previous How to Prevent Kidney Stones? Next How to Apply Foundation? 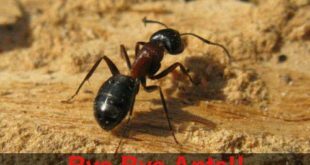 How to Get Rid of Sugar Ants? 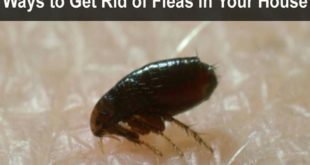 How to Get Rid of Fleas in House Easily? 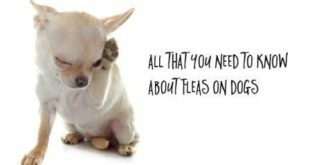 How to Get Rid of Fleas on Dogs?